The primary therapeutic target in Alzheimer’s disease has been the beta amyloid peptide, which clusters outside cells in the brain to form sticky clumps known as plaques. Recently, more attention has been given to the tau protein, which aggregates inside the brain cells of people with Alzheimer’s, forming neurofibrillary tangles. Precisely how these proteins interact in causing the disease is unclear. Four new research studies reported today at the Alzheimer’s Association International Conference on Alzheimer’s Disease 2010 (AAICAD 2010) in Honolulu, HI describe experimental immunotherapies for Alzheimer’s two of which target tau directly and two of which may reduce tau even though their primary target was beta amyloid. 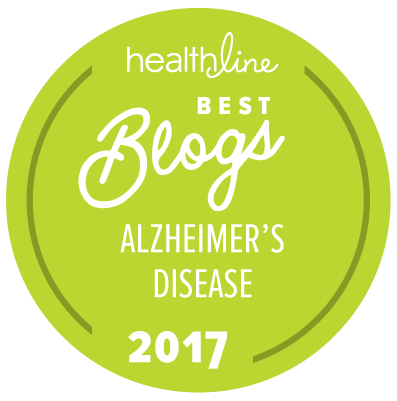 “We need more basic research about what causes Alzheimer’s, as well as therapy-related studies, to fill the front end of the drug pipeline and get us the better treatments and prevention strategies that we so desperately need to head off the epidemic of Alzheimer’s,” Thies said. Bapineuzumab (Janssen Alzheimer Immunotherapy and Pfizer) is an antibody to the beta amyloid plaques that are associated with Alzheimer’s disease, and is currently in Phase 3 testing as a treatment for mild to moderate Alzheimer’s. An abnormal form of the tau protein known as phospho-tau (P-tau) forms into tangles which are the other established lesions in the brain of people with Alzheimer’s. The amount of P-tau in cerebrospinal fluid (CSF) is believed to be a marker of active loss of brain cells in people with Alzheimer’s; prior studies have shown increases in P-tau in people with mild cognitive impairment who later develop Alzheimer’s. P-tau was studied as a therapeutic biomarker in the Phase 2 clinical trials of bapineuzumab. The pooled exploratory analysis reported at AAICAD 2010 by Kaj Blennow, MD, PhD, of the University of Gothenburg, Sweden, and colleagues included a subgroup of participants from two randomized, multicenter, double-blind, placebo-controlled, multiple-ascending-dose studies conducted in the United States (Study 201) or in the United Kingdom and Finland (Study 202). Study 201 enrolled 35 patients (20 bapineuzumab, 15 placebo) in the CSF substudy, and Study 202 enrolled 11 patients (7 bapineuzumab, 4 placebo) in the CSF substudy. CSF was collected at baseline and 2 weeks after the week 52 infusion. The researchers found that Study 201 showed a trend (p=0.0564) towards a decrease in CSF P-tau in bapineuzumab-treated compared with placebo-treated cases. In Study 202, no significant treatment effects were seen. When they combined data from both studies, they found a statistically significant decrease (p=0.0270) in P-tau in bapineuzumab-treated compared with placebo-treated patients. AN1792 (Elan) showed early promise as a beta amyloid immunotherapy for Alzheimer’s. In 2002, a Phase 2 trial reported that about 6 percent of participants developed serious brain inflammation symptoms resembling meningoencephalitis. The trial was stopped as was further clinical development. However, participants in the first AN1792 trial continue to be observed. Delphine Boche, PhD, of the University of Southampton’s School of Medicine, UK, and colleagues studied the levels of beta amyloid and phospho-tau in six regions of cerebral grey matter that are affected by Alzheimer’s pathology in the brains of 10 people with Alzheimer’s who were immunized with AN1792 and compared the findings with 28 unimmunized Alzheimer cases. They had previously shown a reduction of beta amyloid in people treated with AN1792 and now looked to see if it had any effect on tau. The researchers found statistically significant reductions in tau and beta amyloid in the immunized patients compared with untreated Alzheimer’s. The reduction in tau appeared to be specifically in the dendrites, which are the branched projections of a neuron that conduct the electrochemical stimulation received from other nerve cells to the cell body. In contrast, tau in the bodies of the nerve cells, where the tangles form, seemed unaffected. “This study demonstrates a link between these two Alzheimer’s-related proteins, which has been suspected but not clearly demonstrated in the human brain. The findings give us more basic information about the interaction between beta amyloid and tau in Alzheimer’s and may clarify how the disease progresses in the brain,” Boche said. Allal Boutajangout, PhD, of the New York University School of Medicine, and colleagues previously reported that active tau immunization clears tau tangles from the brain and reduces or prevents functional impairments in two different tangle-model mice. In a study reported at AAICAD 2010, they assessed the efficacy of passive immunization for 13 weeks with the PHF1 antibody to tau in a mouse model of Alzheimer’s tangles. ransgenic rat model of Alzheimer’s that, according to Novak, for the first time expresses non-mutated tau and generates Alzheimer’s neurofibrillary tangles. Axon is using the rat for early, preclinical development of an Alzheimer’s tau vaccine. In a study reported at AAICAD 2010, Axon transgenic rats were immunized with phospho-tau. The scientists measured changes in functions related to behavior and learning, levels of phosphorylated tau in cerebrospinal fluid, and level of tangle pathology in the rat brains. They found that tau immunization significantly reduced the amount of insoluble tau, prevented development of neurofibrillary tangles, and produced a statistically significant delay of progressive impairment in learning behaviors. “The Axon Alzheimer Rat may offer new avenues in developing the next generation of therapies and diagnostics for Alzheimer’s,” Novak said.